Does your dog eat too fast? 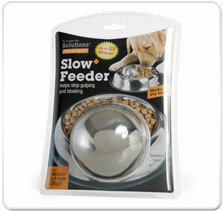 Use the Portion Pacer as an easy way to slow your dog’s eating habits. Check out the video to see how amazing this works!